One of my favorite Amazon features has always been the site’s Free Super Saver Shipping. Starting this week, however, the site’s policy is changing: Now, to qualify for free shipping, you need to place a minimum order of $35. “This is the first time in more than a decade that Amazon has altered the minimum order for free shipping in the U.S.,” explains Amazon in a statement. If you’re worried about this change putting a crimp on your holiday shopping plans, you may want to consider getting an Amazon Prime membership. For a $79 yearly fee, you can get free unlimited two-day shipping as well as access to Amazon’s collection of Prime Instant Videos, original kids’ programming and the Kindle Owners’ Lending Library. To learn more about Amazon Prime, visit the program’s page on the Amazon website. 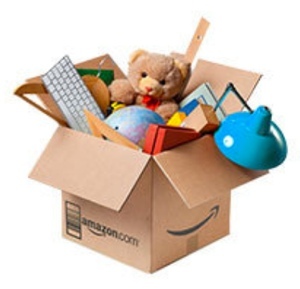 For more on saving money on Amazon.com, check out these 6 great Amazon shopping tips. It was bound to happen but it may have me look local first unless I go prime which I have been thinking about anyway! An alternative to paying for Amazon Prime is to use a website like http://coolfilleritem.com which lists filler items that help you reach the $35 threshold. If you already suscribe to a streaming service, you are not getting your moneys worth. I switched to Prime about a month ago and I will not be letting it go anytime soon. The savings on shipping is nice (keep in mind that there is a minimum amount to be shipped for free $5 or over) but the streaming is great. Picture quality is much better than Netflix and you get different free titles. Not as many devices support prime so I had to hook a computer up to one of my TVs but it is worth it. Prime does NOT get you free 2 day shipping! I’ve had Prime for many years, pretty much since the program started. I’ve been a loyal Amazon customer for years too. But in the last year or two, I have delayed renewing a few times because 2-day shipping has turned into 5 or 6 day shipping, which is about what you’d get anyway. Raising the bar to $35 for “free” shipping also doesn’t address the issue of price to start with. For the first time in years, I’ve started to check prices on all sorts of major purchases. I’m starting to realize maybe Amazon, like Ebay, has peaked. Large online spaces can be useful but it’s not the ONLY path to saving money or getting good service. I’m shopping more and more with individual web sites - and saving money doing so. It’s a revelation to me that so many tiny businesses have caught on to the idea of service. Many are now just as efficient selling me special items as Amazon used to be. PS: The videos are absolutely not worth $89/year. I went with Netflix and rarely look at Prime Videos any more. All these streaming services seem to have the same pool of ten year old movies anyway. The good stuff is never free. I’m a student, so Amazon Prime is free for the first 6 months and then, $39/yr for the next 4 years. For me, it’s been worth it. And my items have always arrived within 2 days. One item was damaged and when I ordered a replacement, it arrived within 2 days. The damaged item was picked up when the new item was delivered and returned to Amazon. All without me having to leave my home.